Don’t let Democrats running for president get through the Iowa Caucus without developing a real message for rural America, Tom Vilsack and a rural-focused issue group is suggesting to Democratic leaders in the state. “Every one of us should be taking this mantra to every single one of these candidates,” Vilsack encouraged a group of about 30 Democratic legislators and party leaders and staff at a reception last week. The organization Focus On Rural America hosted the group as part of their efforts to press the 2020 field about how they’ll talk to – and win – rural Midwestern voters. Patty Judge started the group with some leftover funds from her senate race, and began with conducting a series of polls and focus groups to better understand what went wrong for Democrats with rural voters. Vilsack argued that Democrats need to start out with a better economic message on how to revitalize small communities. That can include any number of proposals, he noted, from developing regional-based food systems, water conservation efforts, and expanding the renewable fuels industry. The former governor beat a familiar tune on the challenges of small towns, and why people living there have become so frustrated. Focus On Rural America’s research found many of the Obama/Trump voters that helped turn the state red in 2016 were looking for someone who would upend the status quo, which, for their communities, simply wasn’t working. So far, most presidential candidates who have visited Iowa since announcing have largely stuck to the major cities, though it’s still very early on and everyone’s just on their first or second pass. But some have. Elizabeth Warren did a stop in Storm Lake to talk small town issues on her first trip. 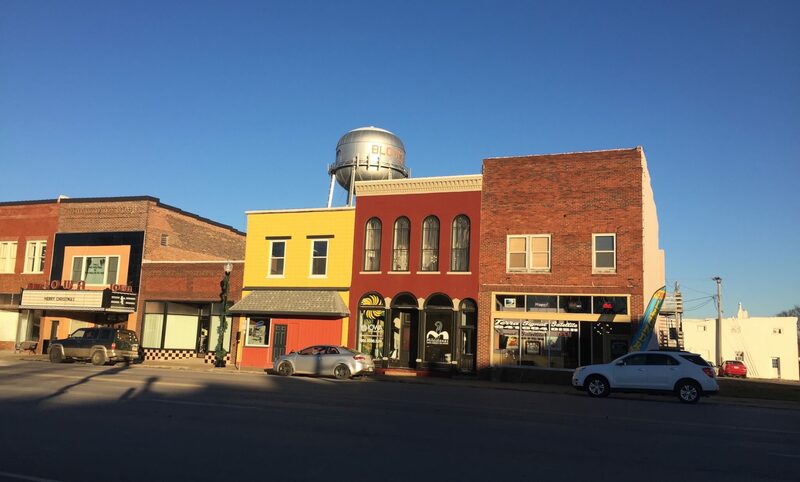 Sherrod Brown started his tour in Cresco, Iowa, and intentionally avoided the larger cities. Kirsten Gillibrand did a Boone stop. John Delaney has already done a full 99-county tour. And Iowa may offer up the best testing ground for all of these 2020 contenders to try out messaging that could help Democrats retake Midwestern states. For anyone who wants to defeat Donald Trump, they’ll have to win back at least a few of the formerly-blue states that Hillary Clinton lost here (Michigan, Wisconsin, Iowa, Ohio, Pennsylvania). As Vilsack explained, Democrats will have one extra tool for those states this time around: the President’s reckless trade wars. So, if Democrats want a presidential nominee who has a message that can win back Iowa in the general election, Vilsack and Judge suggested, go out and push them during the caucus to develop just that. care is getting worse with the closing of rural hospitals, OB services and psychiatric care. Many of the college graduates in Iowa move out of state and funding for education is pathetic. Mississippi of the Midwest. It’s time to wake up, people!